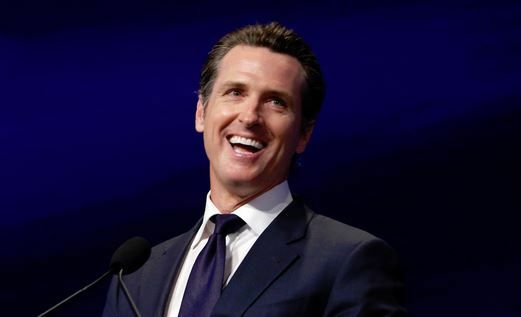 According to the most recent USC Dornsife/Los Angeles Times poll, Gavin Newsom’s lead in the gubernatorial race appears secure in the final stretch before California’s June 5 primaries, despite a plurality of voters still undecided. The poll was based on 691 registered voters, as well as 517 voters likely to vote in the primary. The top two vote-getters in the primary, regardless of party affiliation, will advance to the Nov. 6 general election. Newsom, the current lieutenant governor, received 21 percent of the vote, with former Los Angeles Mayor Antonio Villaraigosa and Republican businessman John Cox contending for second place with 11 percent and 10 percent of the vote, respectively; well within the margin of error of plus or minus 4 percentage points. Of potential interest to the battle for second place could be President Trump’s recent decision to endorse Cox. While it could potentially mobilize Republican support, it could just as easily backfire and turn away moderates. California Treasurer John Chiang, who was hoping to become the state’s first Asian-American governor, and Huntington Beach State Assemblyman Travis Allen, who has brashly courted Trump supporters, stand at 6 percent and 5 percent, respectively. When it comes to issues that could swing voters in congressional races, the Trump administration’s tax overhaul and attempts to repeal the Affordable Care Act hold the most cache. Almost half of poll respondents opposed the December tax overhaul, with 52 percent being less likely to re-elect their representative if they supported the changes. And six out of 10 residents support the ACA; similarly, 54 percent would be less likely to vote for a representative trying to repeal Obamacare.